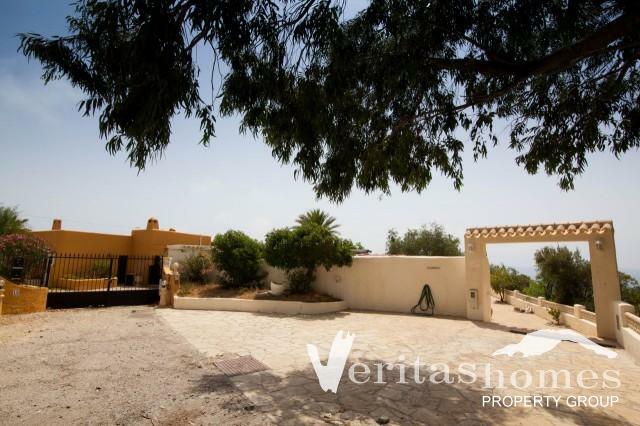 Unique opportunity to purchase two detached Villas with impressive sized swimming pool located on Indalo Mountain on Mojacar Playa. 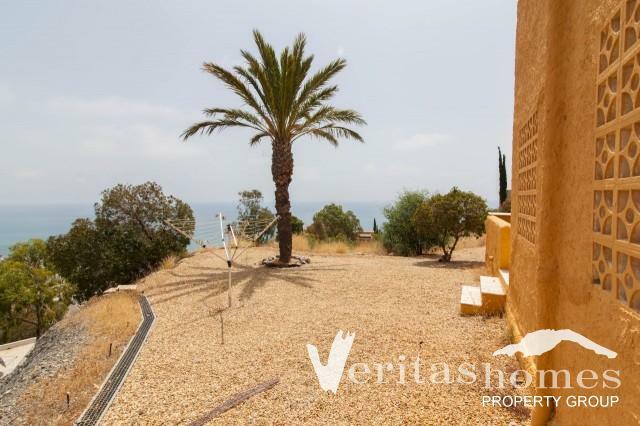 The properties provide unrivalled, spectacular sea views on a spacious 5,000 mt2 plot. 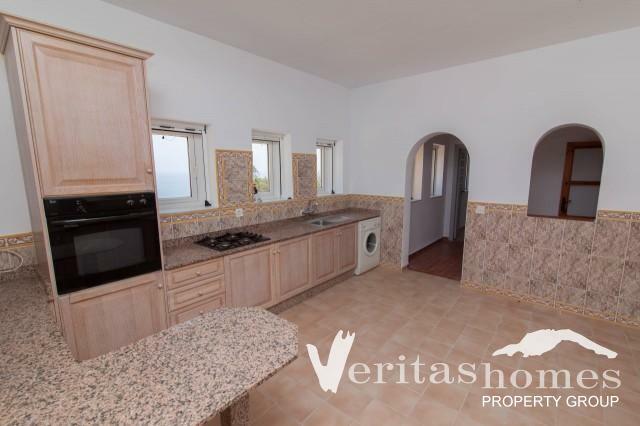 Together the two properties offer 5 bedrooms and 4 bathrooms. 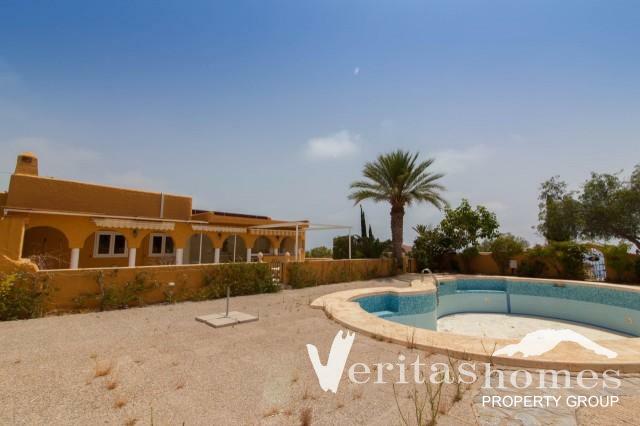 Villa One – Formerly the El Oasis restaurant, this property was converted to a family home, and currently provides a blank canvas for potential buyers to make their own. 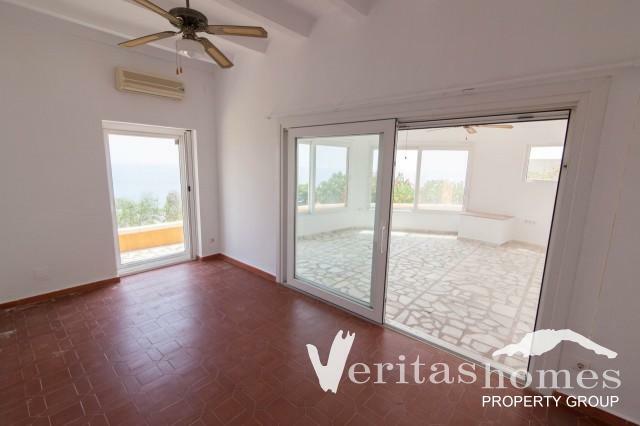 The building is 247.05 mt2 distributed between a conservatory offering views over the surrounding mountain range, expansive living/dining room area and a further reception room providing incredible 180 degree views over Mojacar playa. 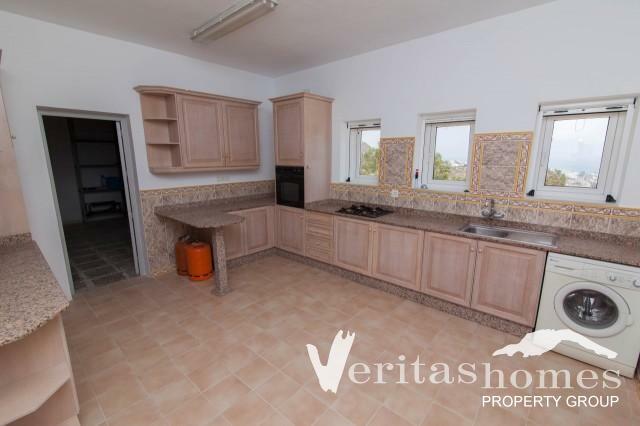 The property also provides a generous kitchen, 3 good sized bedrooms, 2 bathrooms and a garage/utility room. The garage could also be converted into further living space or guest accommodation, and plans are available to show how this could be designed. 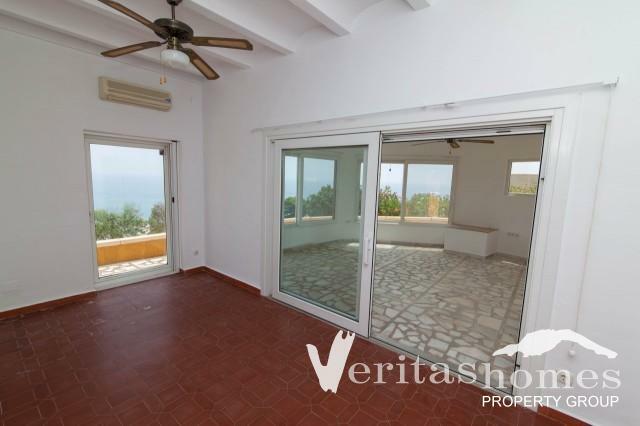 The property is fully double glazed, has two open fireplaces and air-conditioning units included. 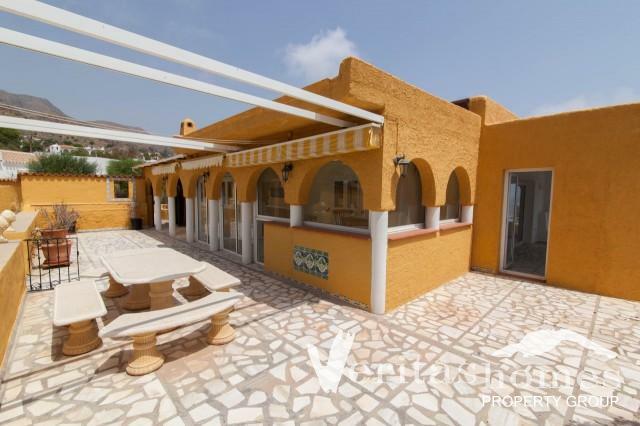 Villa Two – Purposely built Villla is 222,35 mt2 distributed between a large open plan kitchen/living/dining room area and separate reception room – both of which offer spectacular views over Mojacar Playa, 2 good sized bedrooms and 2 bathrooms. 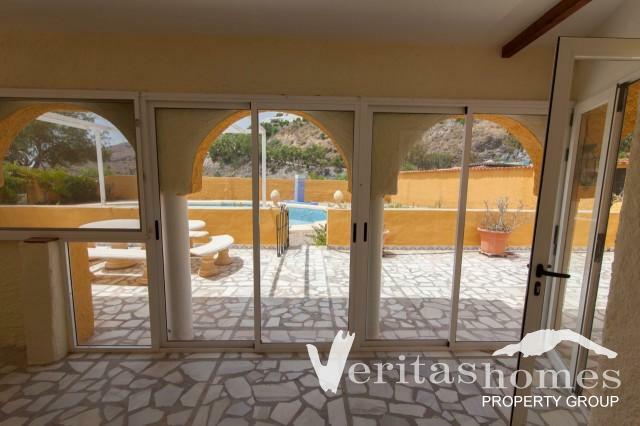 Like Villa one, this property is fully double glazed. 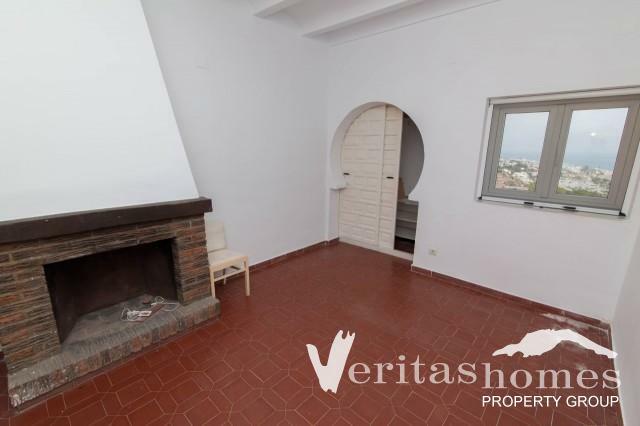 It also has an air conditioning unit in the living room area as well as an open fireplace. 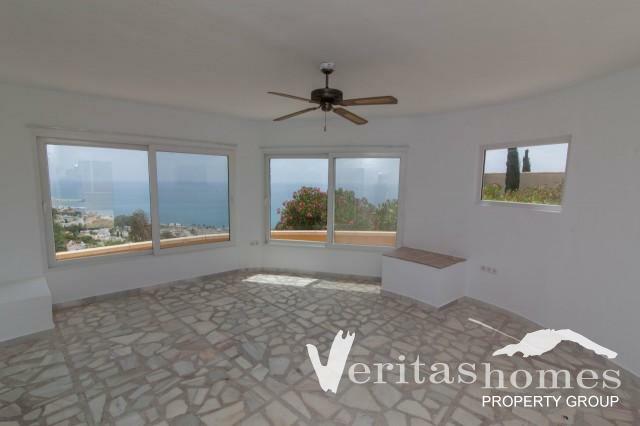 There are also outside storage and entertaining/relaxing spaces, from which to enjoy the views, with a total area of 52.70 mt2. 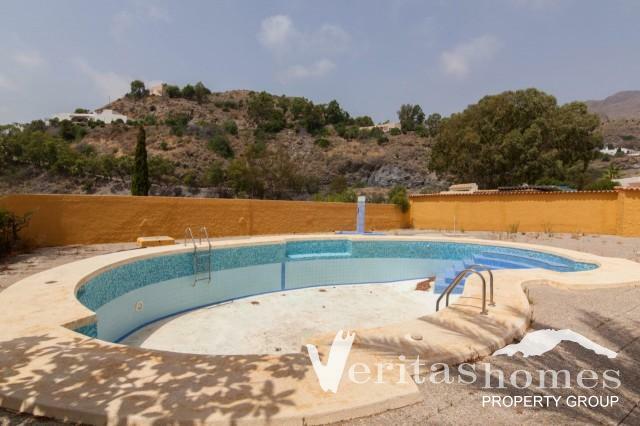 The pool is a good size and can be easily accessed from both properties, offering a total water capacity of 100 mt3. 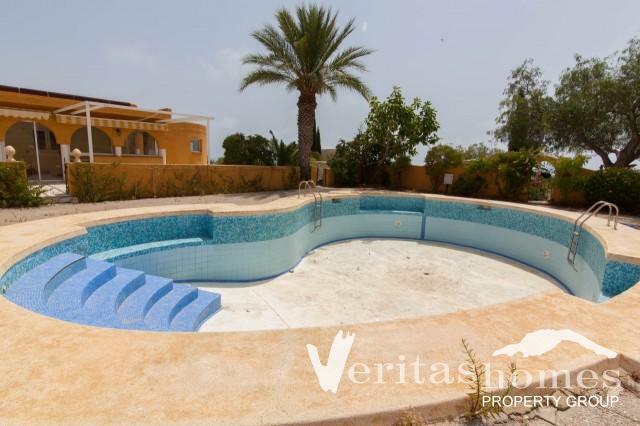 Villa One is empty as is the pool. 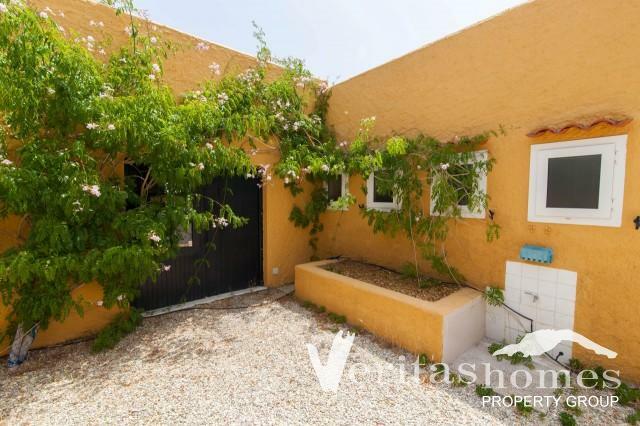 Villa Two is currently occupied. One of the key benefits of these two properties are that they are completely independent of each other with their own access. 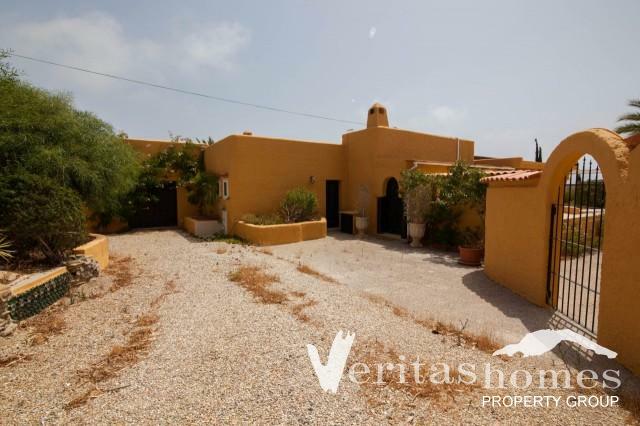 This enables any potential buyers to consider utilising one of the properties as a guest house or as an attractive rental opportunity. Indalo Mountain is a very quiet area, due to its elevated position, offering a peaceful environment to relax and enjoy the mountain and sea views away from the nearby playa surroundings. The beach, restaurants and all required services are a short drive away but can also be reached by foot. 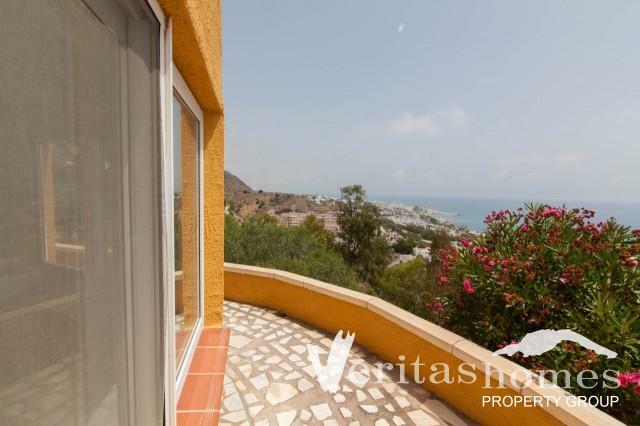 Mojacar Village is also nearby, accessible via car or the regular bus service. 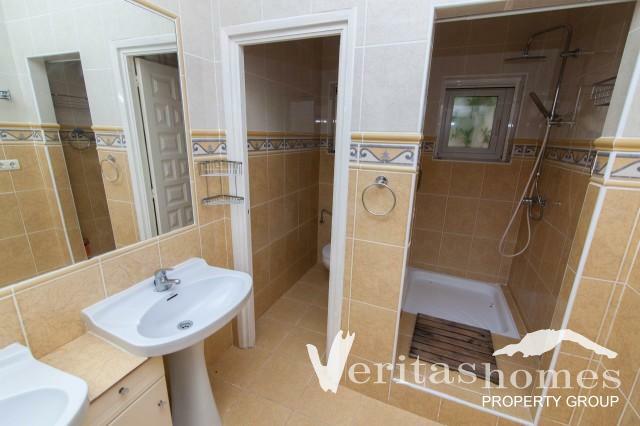 The property is also strategically placed for the golf enthusiast. The Marina de la Torre Golf Resort is no more than 10 minutes drive, Valle del Este Golf Resort is 20 minutes drive, and Desert Springs Golf Resort is 30 minutes drive.